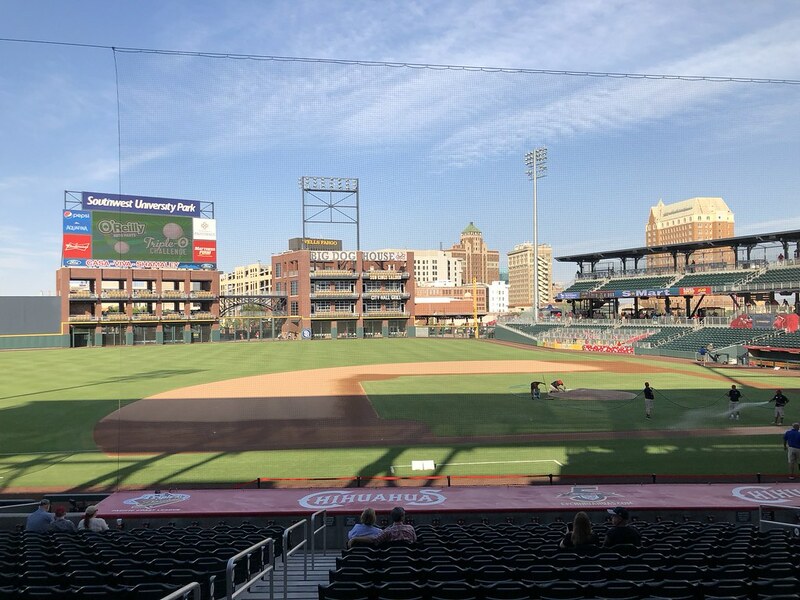 The view from behind home plate at Southwest University Park. 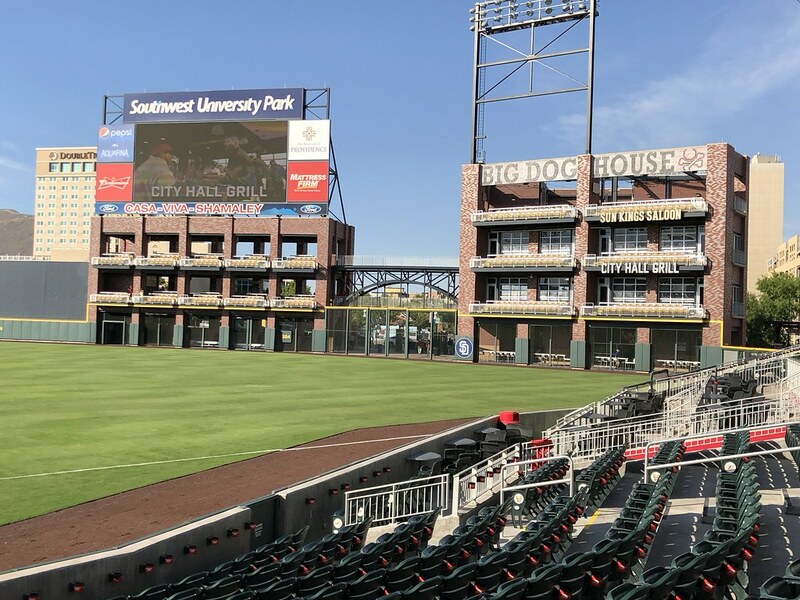 The grandstand at Southwest University Park, as seen from center field. 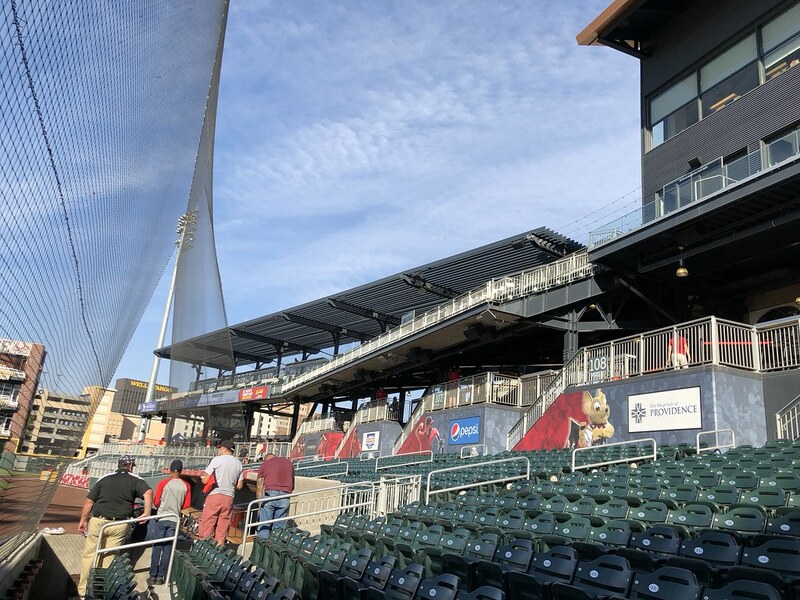 The grandstand features several levels behind home plate, with the pressbox on the third deck and club seating on the second, each surrounded by luxury boxes. 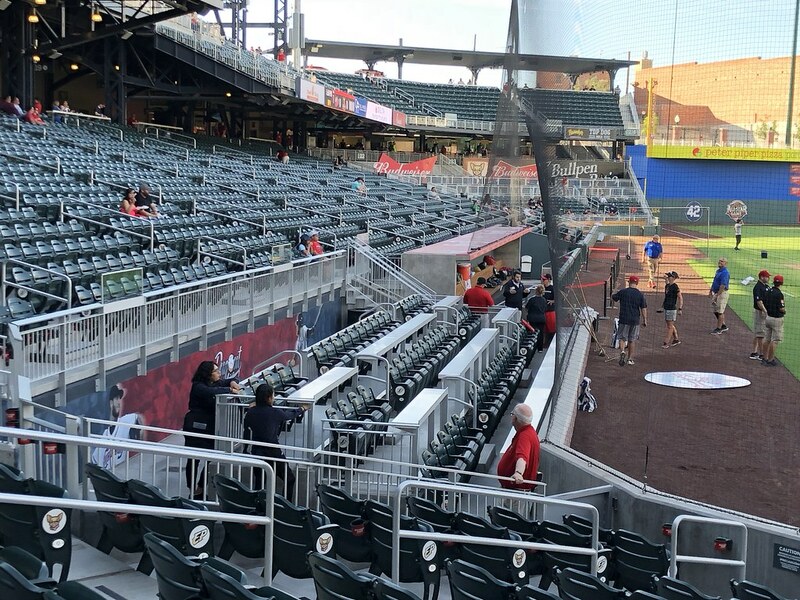 A sectioned-off premium seating area sits at field level next to the third base dugout. 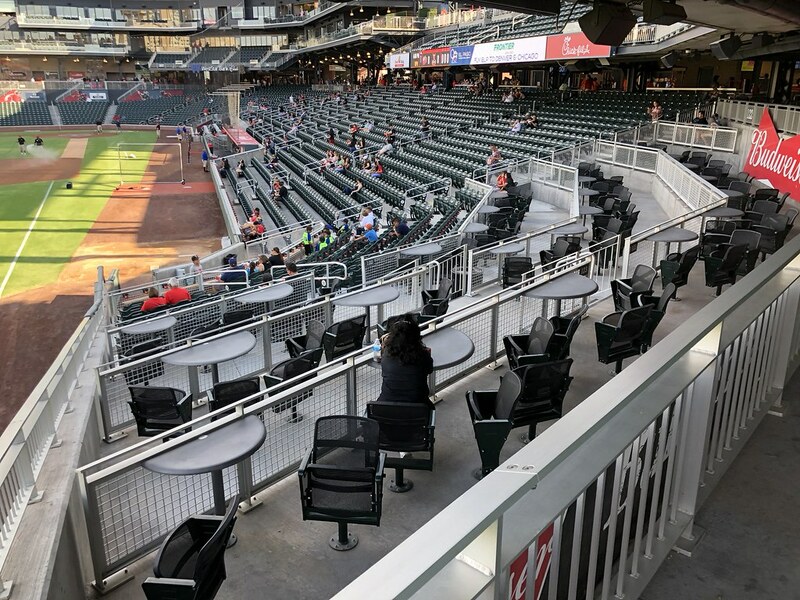 Seats at the top of the seating bowl behind home plate feature elevated drink rails. 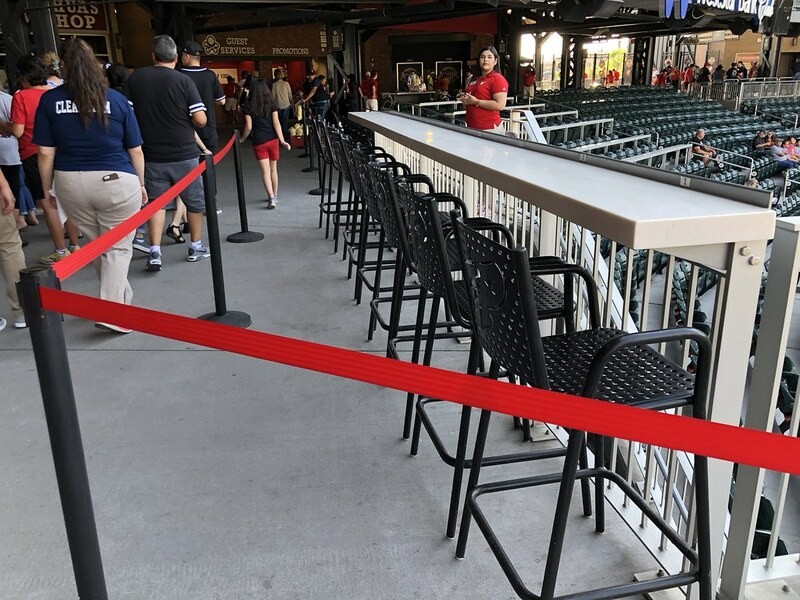 Railings and bar stool seats run along the top of the seating bowl in several sections at Southwest University Park. 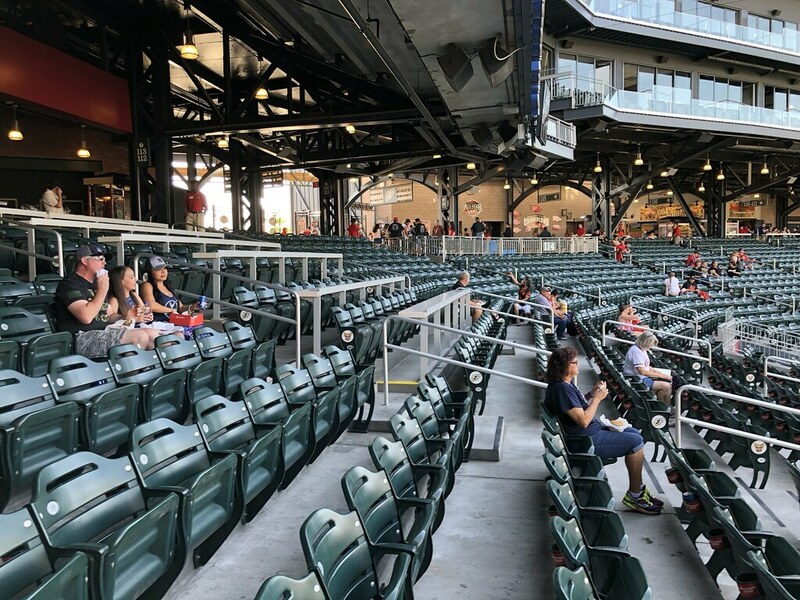 The outfield corners of the grandstand feature group table seating. 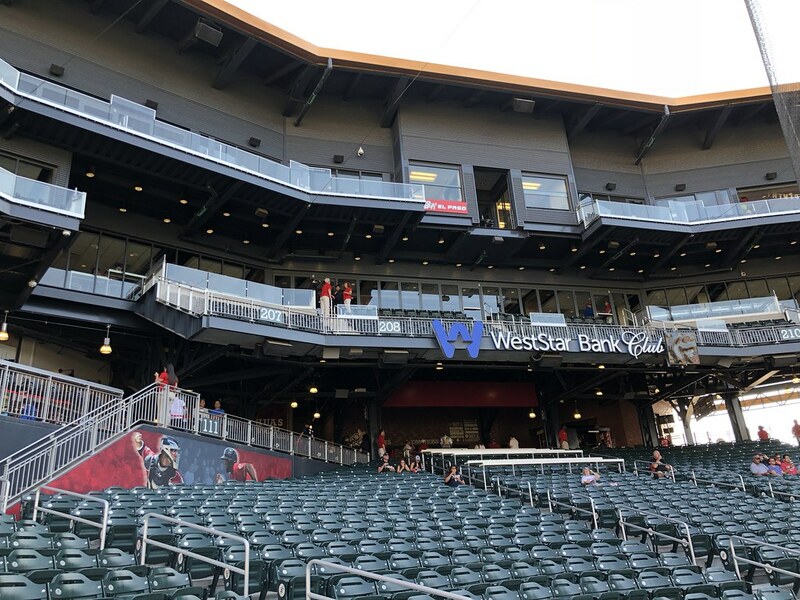 A covered party deck sits on the second level in the right field corner of the ballpark. 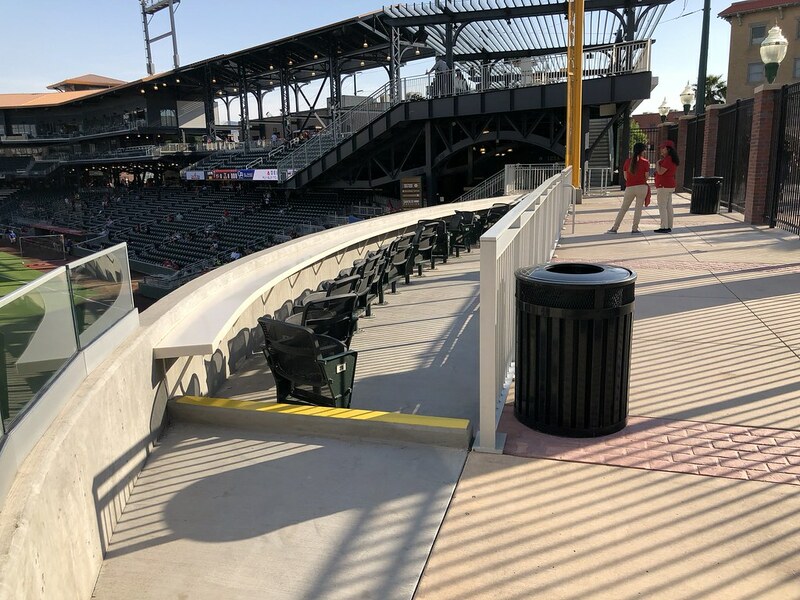 A porch area in left field features a single row of seating along the top of the outfield wall. 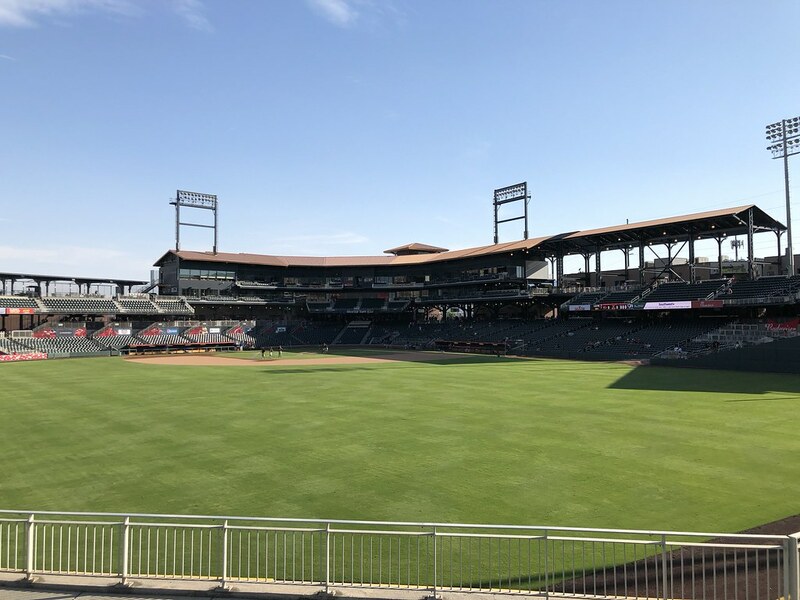 The left field porch overhangs the field of play at Southwest University Park. 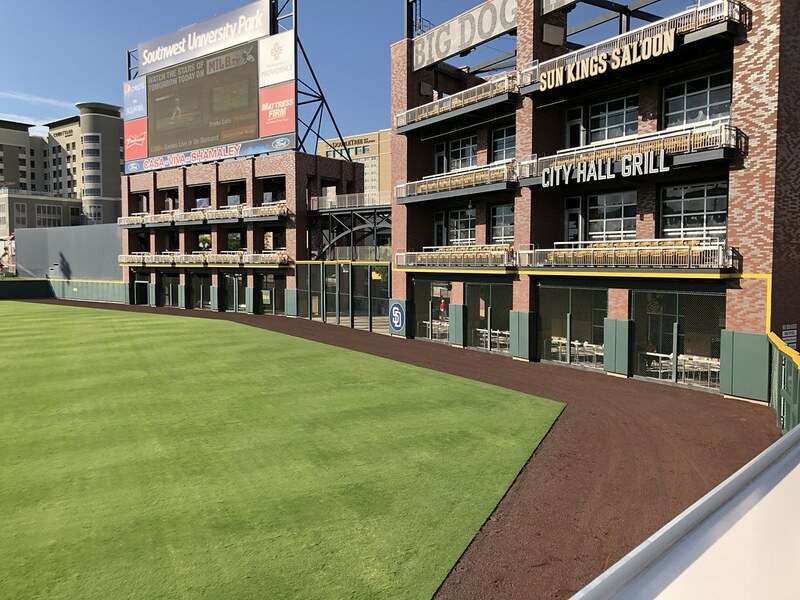 Grass berm seating sits behind the center field wall. 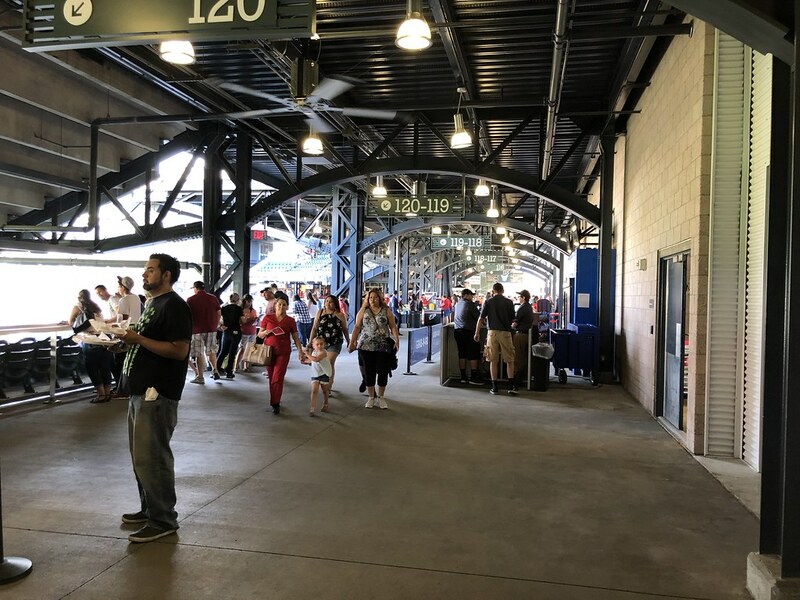 The concourse runs underneath the upper deck, along the top of the main seating bowl. 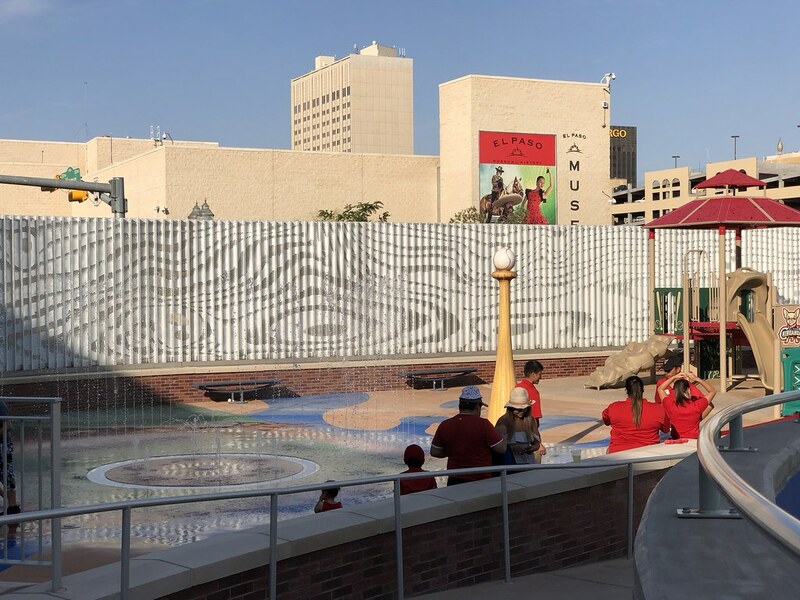 A pair of old brick buildings were retained as part of the park and now house restaurants, stores, and unique seating areas. 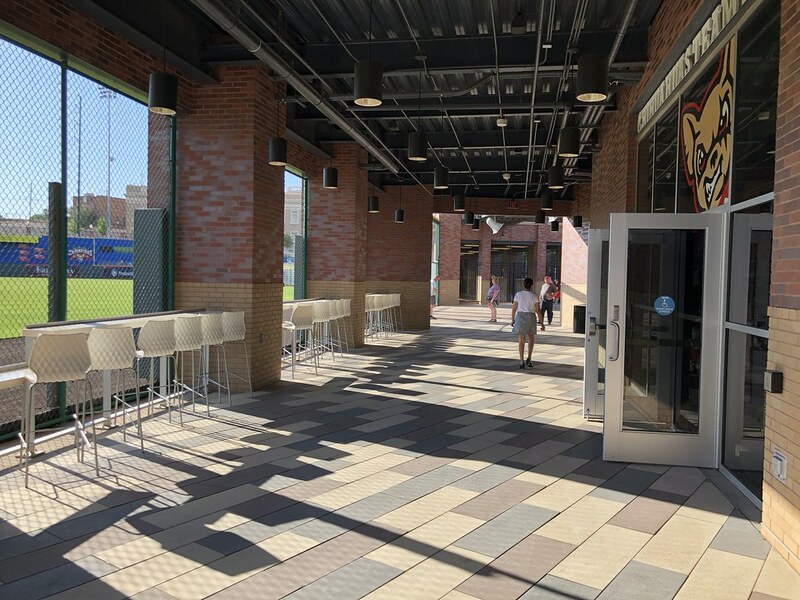 The outfield concourse runs through the bottom of the brick buildings, with seats behind the chain-link outfield wall and the team store on the ground floor. 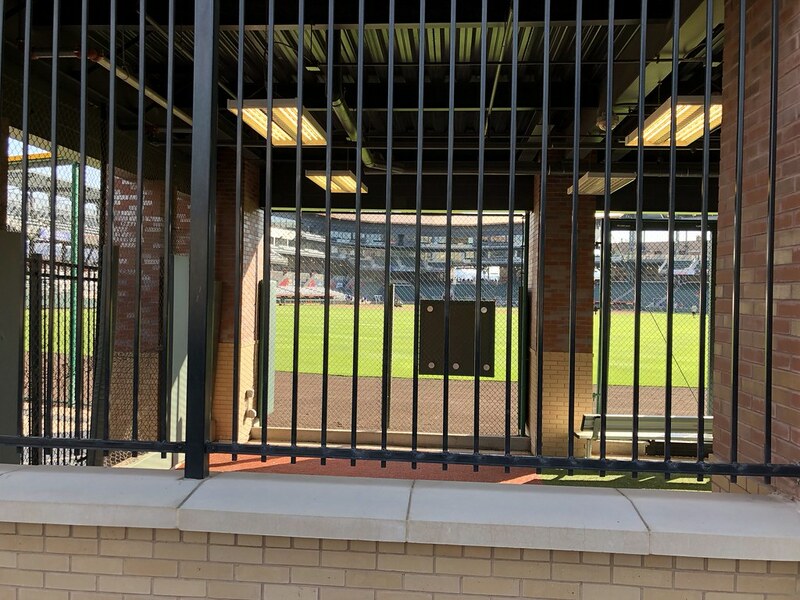 Fans can stand on the sidewalk in El Paso and watch through the bullpens at the action inside the ballpark. 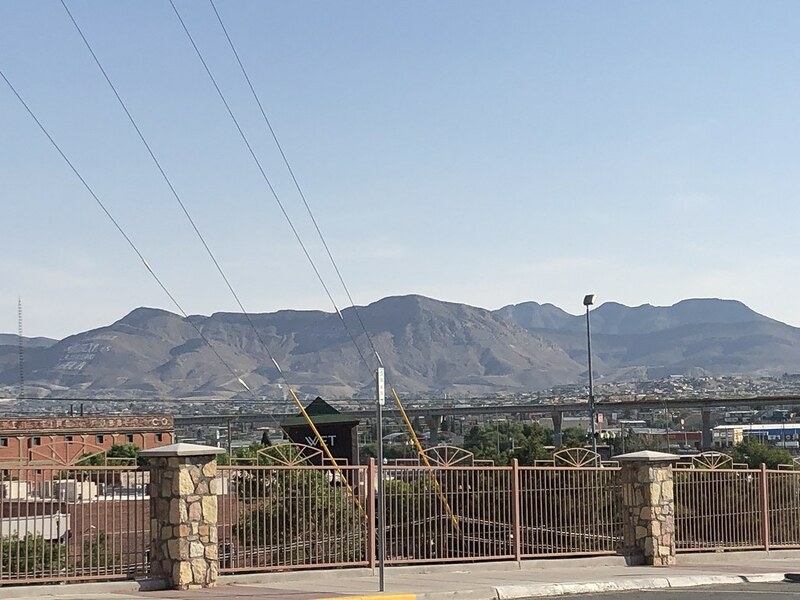 The view across the border into Ciudad Juarez, Chihuahua, Mexico from Southwest University Park. 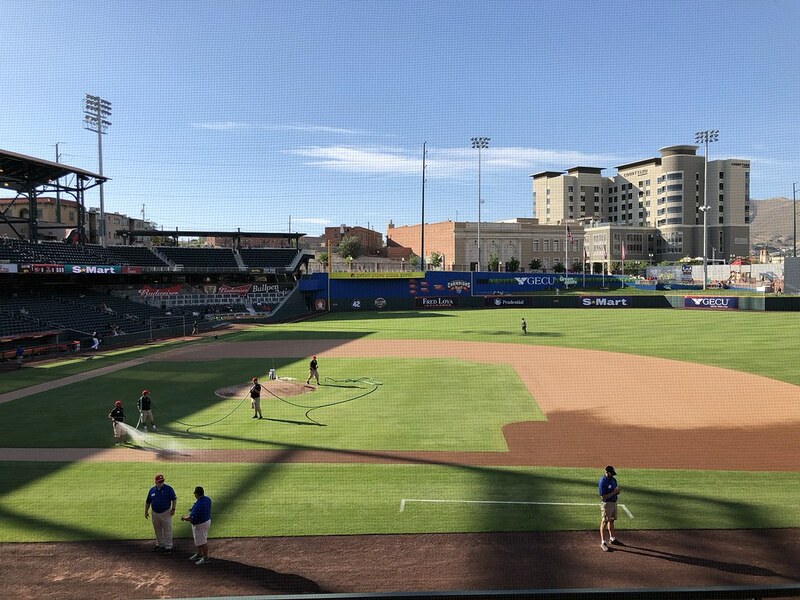 A playground and splash area sits on the outfield concourse. 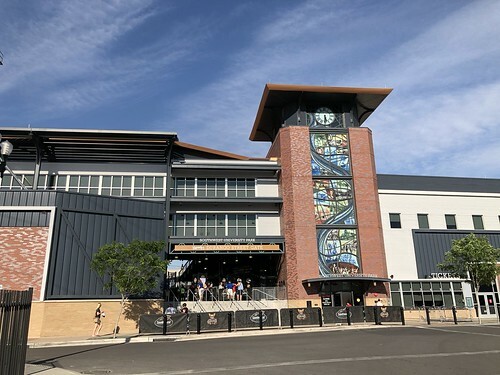 The scoreboard sits atop one of the right field buildings. 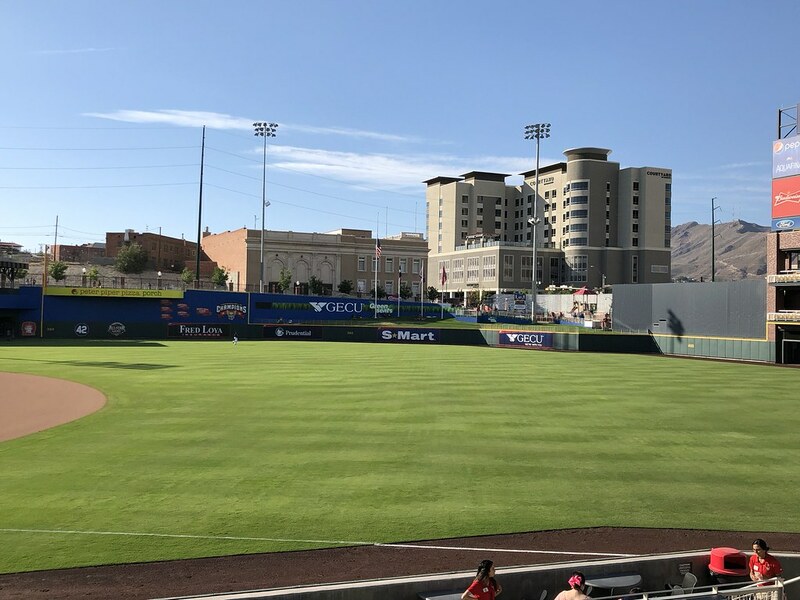 The buildings create some unique angles and dimensions in the outfield wall. 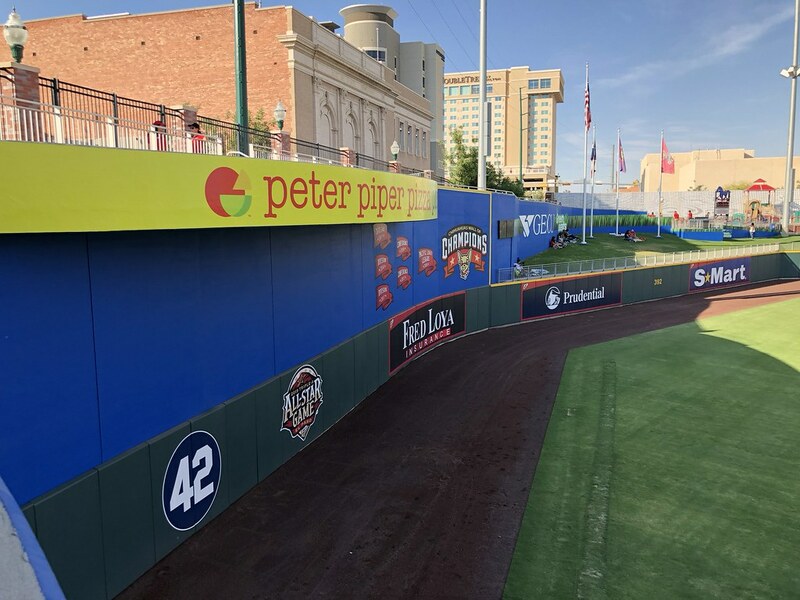 The fence makes several more sharp corners and turns as it wraps around the field of play. 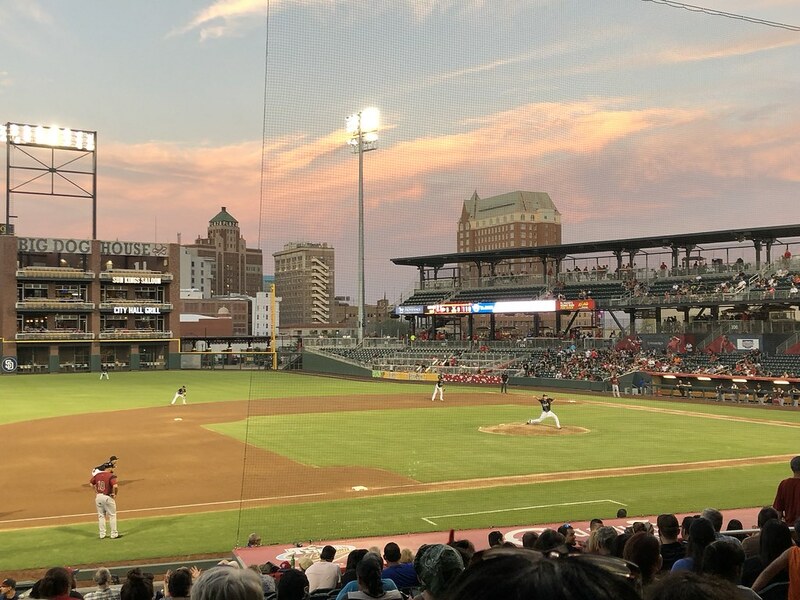 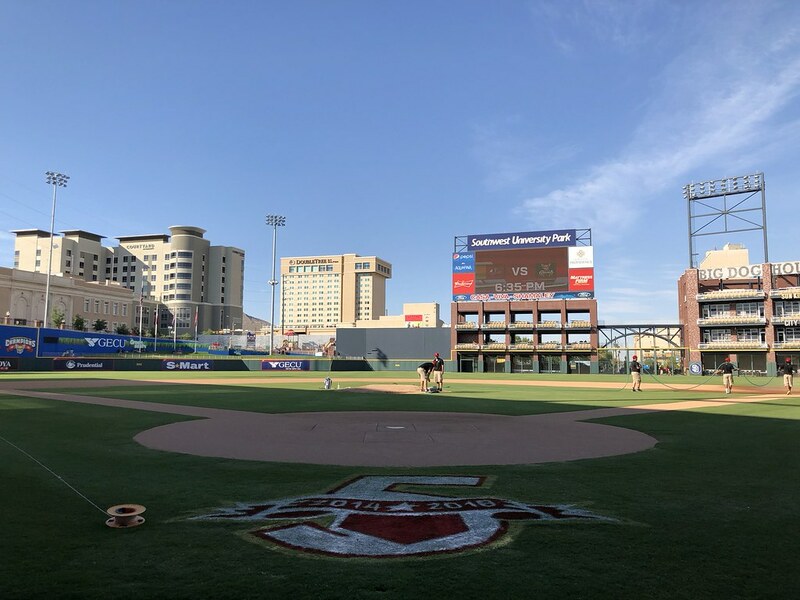 The El Paso Chihuahuas on the field during a game at Southwest University Park.